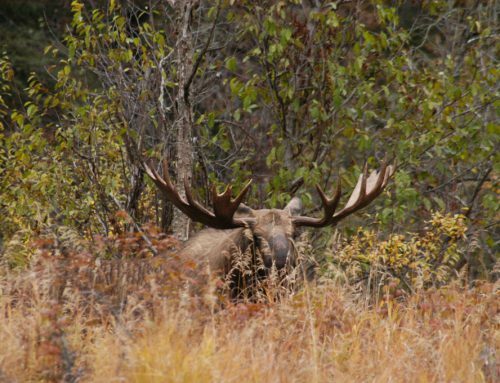 Over the next few months, we’re going to present a series of blog posts on field judging animals, specifically, those animals Webber’s Lodges and Henik Lake Adventures offer adventures for. The intention of these field judging posts is to help you gauge what a mature, quality animal looks like in each instance. My goal is to give you the confidence to say “that’s a good one!”, when the time is right, rather than to give you exact measurements to look for. First up: one of the oldest North American mammals, the Musk Ox. Musk Ox are very simple animals when it comes to scoring. 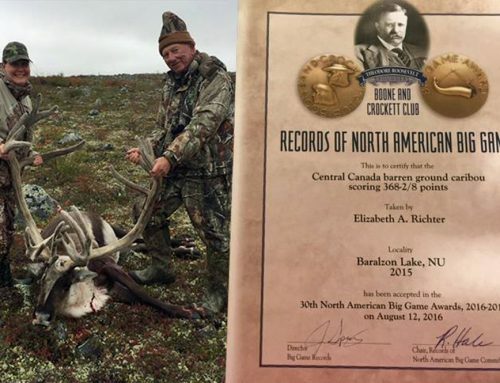 Using the Boone and Crockett system there are only five measurements to be concerned about: the length of horn, the two widths, and the two circumferences. These make up the total score on a Musk Ox. Before getting into these measurements, there are other helpful things to be on the lookout for. Great boss width, broomed tips, good length. This Musk Ox bull has it all. 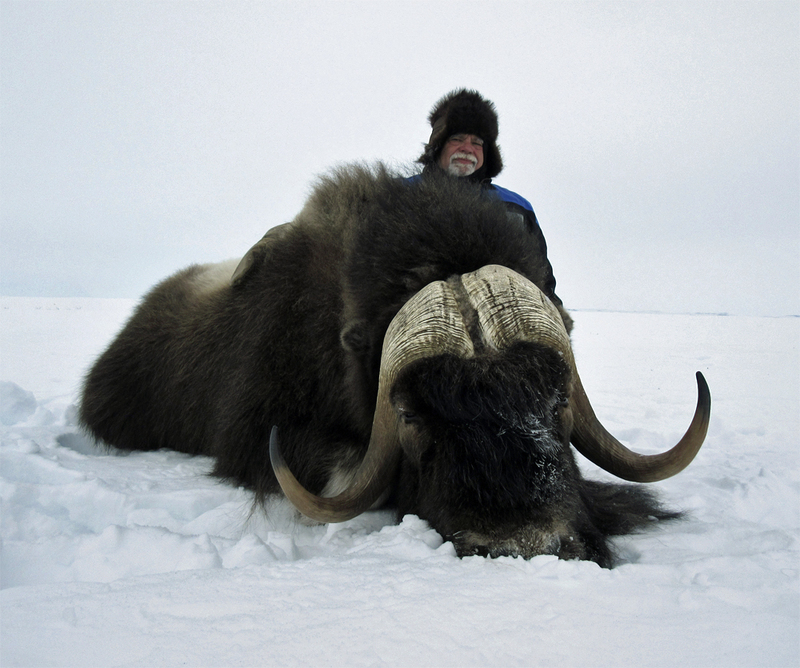 You will see Musk Ox in groups varying from five to 50 animals. Our experience proves that every group seems to have a high-quality bull or two in it. So the first thing to look for is the biggest body or bodies in the group. Once you have selected those, you need to make sure they are bulls. 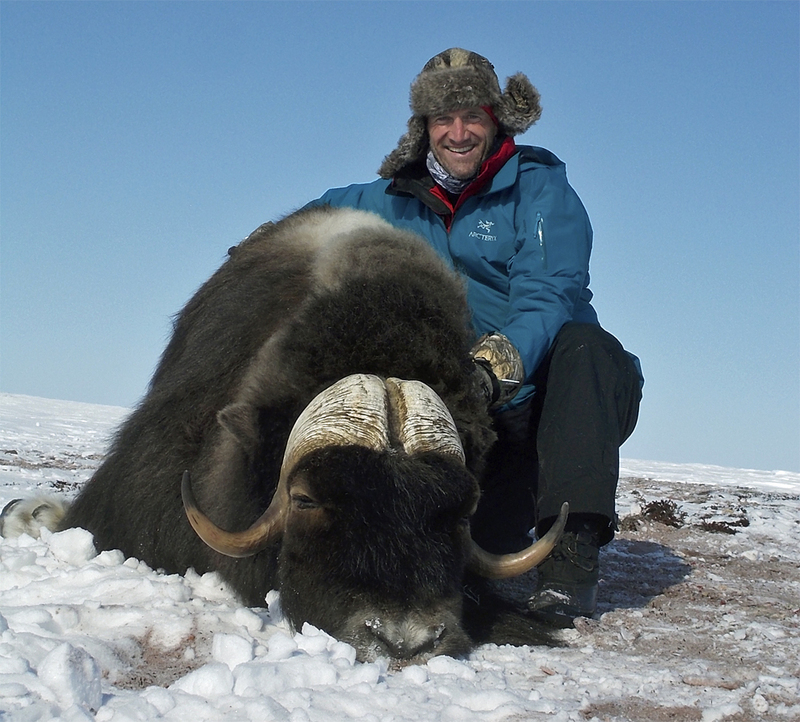 The easiest way to confirm if a Musk Ox is a bull is to look at the bases of the horns. If they have nearly grown together and have good width, you are looking at a bull. 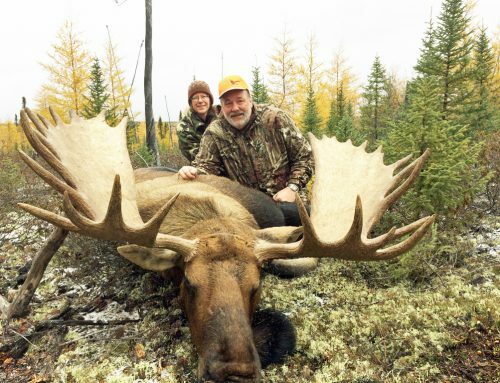 Once you have found the largest bodied animal in the group and confirmed it is a bull, look more closely at the horns. Musk Ox are a fairly relaxed animal, so it should be easy to get a good look. Some people will tell you to look for very long horns. While this is important, it can be misleading in two ways. The horns on this Musk Ox bull have nearly grown together at the base. Firstly, if someone tells you to make sure the horn tips come up above the eyes; you have to realize the angle of the head can create an illusion. If he lifts his nose, his tips will appear higher than they actually are, making them appear longer. Secondly, horns with excellent mass will generally appear shorter, while ‘skinny’ horns will appear longer. A quick check of the scoring formula shows four mass measurements (two widths and two circumferences) to one length measurement. For these reasons, I consider length the least valuable factor when field judging. For me, it’s all about the mass. The first and easiest thing to look at is what is referred to as ‘the boss’. This is the base of the horn, where it meets the skull. When the animal is head on, take a good look at these. You want there to be very little to no space between the bases of the horn. They’ll look as if they’ve grown together. You also want to see width. It can be difficult to get a good look at the width, with all the hair these creatures have, but a timely breeze should expose the entire boss, and the wider the better. A lot of our bulls will have bosses over nine inches wide. This view really shows the excellent mass on this Musk Ox bull. After you’ve decided the bosses are acceptable, you just need to see the mass carried right out to the end. Musk Ox will broom or polish the ends of their horns to a certain degree. When looking along the horn, you want to make sure it maintains the mass. When you get to the end, you want to see a thick, blunt nub instead of a sharpened pencil look. Carrying mass out along the horn will give you four good measurements, boosting the overall score. That’s really all there is to field judging Musk Ox. The most difficult part is practising. Since people don’t get a lot of opportunity to see Musk Ox, they don’t get to use these tips until they’re out on the land looking at potential bulls. 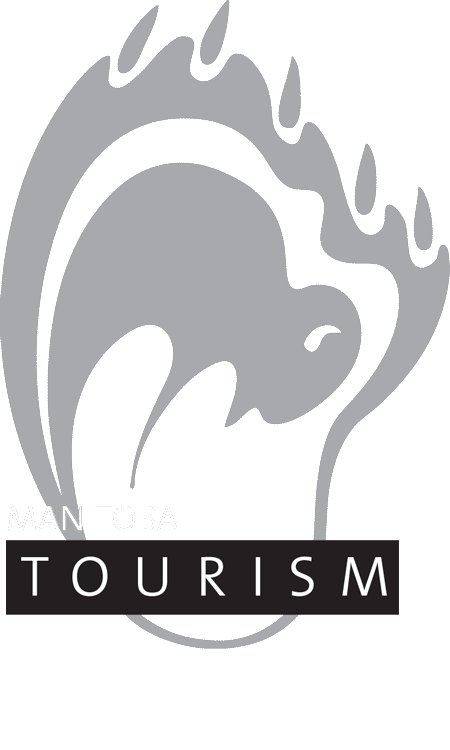 If there is a zoo in your area, and they have Musk Ox, it would be a great idea to visit them a time or two prior to your hunt. This will help you with gauging relative sizes of horn compared to actual body size. 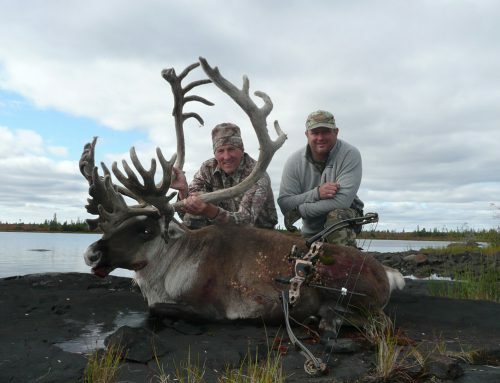 On our hunts, you won’t be left alone to decide which animals are mature bulls and which are not. 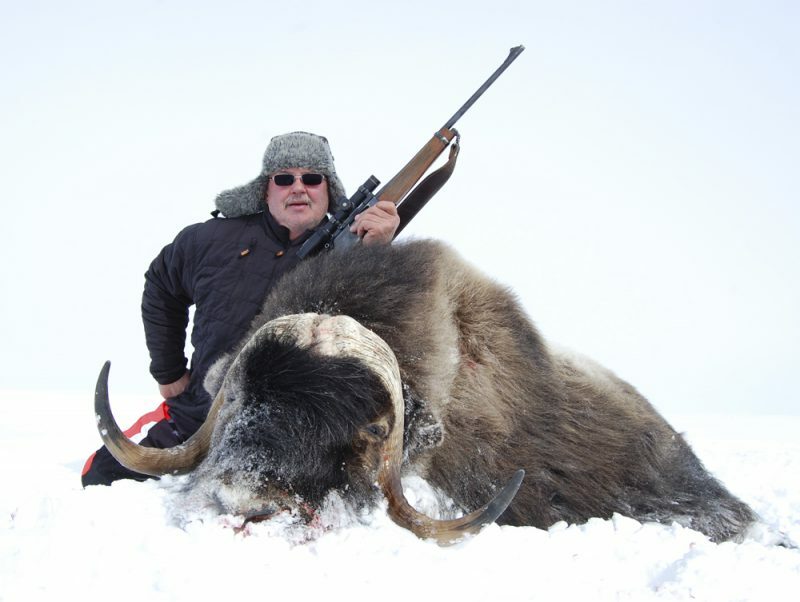 Our guides see hundreds of Musk Ox regularly and know what hunters are looking for. These guidelines are provided so that you can join the conversation and take part in the process of field judging the animals you encounter. 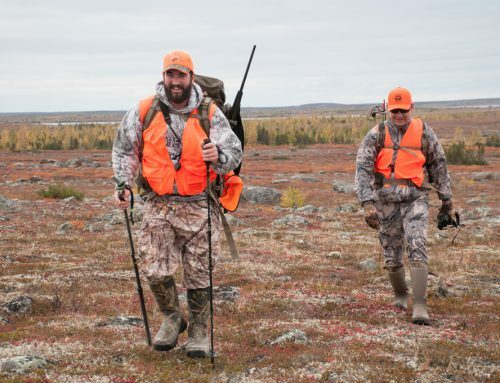 The more knowledge you acquire prior to your adventure, the more involved you’ll feel during the hunt. Broomed tips, good length and incredible bosses. This Musk Ox bull also has it all. 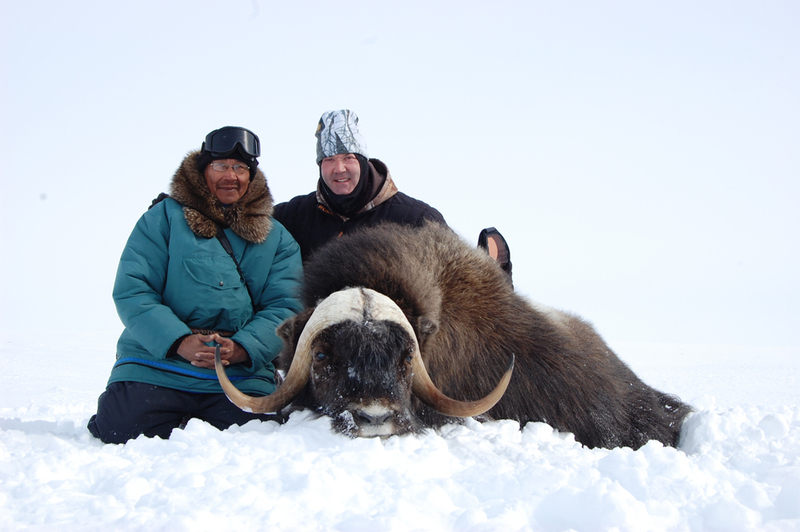 For detailed instructions on accurately scoring your Musk Ox, check the Boone and Crockett scoring chart and instructions or the Safari Club International scoring chart and instructions.